Have you tried Airbnb yet? An Airbnb host lists and rents out their unused space(s). An Airbnb traveler searches for and books accommodations. I love Airbnb. I’ve used it multiple times as a traveler, and I’ve enjoyed each experience. A few people I know have used Airbnb as well, and they’ve had positive experiences too. That’s what initially let me to explore Airbnb further. Some were continually choosing Airbnbs over hotels — so I figured there must be a reason. When I’m traveling for pleasure (instead of work), I usually have pretty flexible travel dates, a small budget, and I prefer to stay in a home-like atmosphere — as opposed to a hotel. The Airbnb online platform is awesome and easy to use. The search and filter options are great — so you can quickly find the type of place you want. The communication from the hosts has always been timely and clear. Ultimately, the Airbnb fees were less expensive than hotels for each of my trips. I’m excited to share my own experience, why lots of people choose it, how Airbnb works, the pros & cons of using Airbnb, and some other great tips — so you can decide for yourself if staying at an Airbnb makes sense for you. These days, just about every new startup is out to disrupt some traditional industry with a digital solution. This trend has led to some ingenious and amazing success stories — like Uber (personal transportation) and Zillow (real estate). Interestingly, one of the most successful from the past few years is in the hotel/hospitality industry — brought about by Airbnb vacation rentals. It’s grown from simply appealing to couch-surfing budget-conscious tourists to now attracting business travelers, couples, and adventure seekers as well. Price – 55% say it’s cheaper than other lodging providers. Location – 33% say the location is better suited than a hotel. Authentic experience – 31% say they’ve had a better guest experience. Uniqueness – 24% say they like the unique opportunity to stay in a place with a more home-like vibe. On the other hand, the biggest reason people don’t use the platform comes down to brand awareness. 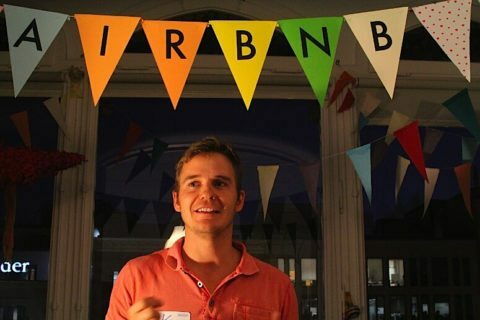 59% of those who haven’t used Airbnb say they’ve never heard of it. Have a look at these other interesting facts you probably didn’t know about Airbnb. It puts travelers directly in touch with hosts who are offering a place to stay. Airbnb also makes it possible to forego sterile rooms and crowded dorms in favor of homey rooms, private apartments, and even the ritziest of houses. You’ll need to create an Airbnb profile online to book a reservation. You can use a number of filters to customize your search results by price range, type of property (like the entire place, a private room, or a shared room), and even by amenities (like free WiFi, a kitchen, or kid friendly). Click on each listing to read detailed descriptions of the property and view photos. Scroll down to read reviews from previous guests and see how many “stars” the property and host have received — in categories like cleanliness, location and communication. Contact hosts using the online form that appears on each listing page, or submit a reservation request by clicking the “Book It” button and entering payment details via a secure payment system. TIP: Pay careful attention to the host’s cancellation policy and any extra charges — like security deposits and cleaning fees. Also note the host’s “house rules” about quiet hours and other personal preferences. Airbnb also displays search results geographically on a map. This is helpful if you want a place near the beach or close to downtown shopping districts. For me, the biggest advantages to using Airbnb over a traditional hotel are convenience, price, and home-like amenities. As I mentioned earlier, there are times (like when I travel for business) that I prefer staying in a hotel. But when I’m visiting family or getting out of town with my guy for a quick getaway — Airbnb has never disappointed me! The price of Airbnb accommodations is usually cheaper than a typical hotel. You get the chance to live “locally” in the city you are traveling to, and get away from the traditional hotel vibe. Your host can be really awesome. (Mine have been!) They can really make your visit exceptional by recommending things to do. And, typically, their knowledge of the area beats a front desk hotel clerk. You can rent property for just a day or two, or settle down for a few months. They’re also experimenting with some more flexible payment options. And if you’re anything like me, then safety is definitely of concern. Well, I can tell you that I felt a lot safer at the Airbnbs I’ve stayed in than some of the hotels I’ve visited recently. Here’s some very helpful info on the safety of Airbnb. Just don’t expect all the amenities of a hotel — because no one’s going to be turning down your bed at night. Enjoy your privacy instead. You have to pay Airbnb fees — anywhere from 6% to 12%, plus foreign transaction fees if required, and a VAT tax (Value Added Tax) in some countries. You should do your best to keep things tidy — this is actually someone’s house. So it’s common courtesy to be a relatively clean houseguest and pick up after yourself. NOTE: One of the coolest features I like about Airbnb is that it allows the host to rate the guest. Meaning, if you’re an excellent guest and you’re looking for something extra (like to bring your family pet along in a non-pet-friendly listing), chances are good that positive reviews will give you a better chance of negotiating. Here are 7 tips for Airbnb first-time users. Yes. But not for all complaints. If you experience a travel issue that prevents you from being able to complete a trip with Airbnb, and you’re unable to resolve it with your host, then a refund may be applied in certain circumstances. The home is missing an amenity that was promised on the site in either the listing’s description, amenities, or photos. The room type of the listing isn’t what was booked. The number of bedrooms or bathrooms in the listing doesn’t match what was booked. There weren’t clean bedding or towels available for all the guests included in the reservation. The home is unsanitary, unsafe, or hazardous to your health. There’s an animal at the property that wasn’t disclosed prior to booking. UPDATE: The home-sharing company that has been accused of helping to take thousands of units out of the tight Los Angeles rental market has become a major contributor to the campaign to build new homeless housing. How Reliable Are Airbnb Reviews?